Unique features for Patrol Rifle Optic • Always ready - always on. Turn it on for up to 3 years using one single battery. No need to fumble with switches prior to use. 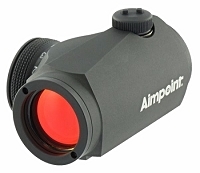 • 2 minute of angle red dot for accurate target engagement at all distances. • In service date and battery change date reminders makes inventory tracking and maintenance easy. 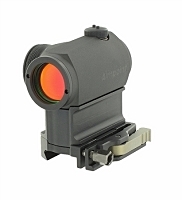 • Enhanced speed on target and increased first shot hit probability when compared to iron sights and magnified scopes. 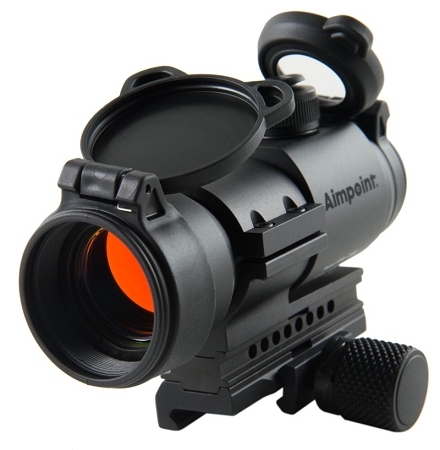 • Compatible with all generations of night vision devices and may be used with Aimpoint 3X Magnifier and Concealed Engagement unit. • Hard anodized aluminum alloy housing. Rugged enough for real world conditions and waterproof to 150 feet. • Threaded front lens opening allows use of screw-in anti-reflection device (ARD). • Front and rear flip covers keep lenses clean. 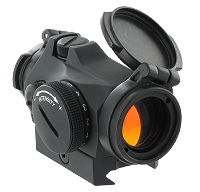 • Transparent rear flip cover allows use of the sight (with both eyes open) even with both covers closed in an emergency. • Battery and adjustment cap retainer straps means you will never lose your pieces. 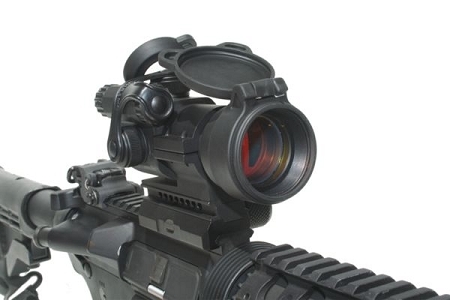 • Modular mount set up for use on flat-top AR15, M4 Carbine and M16 rifles. 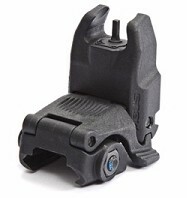 (Adapter available for carry handle mounting) • Removable spacer. Remove for use on shotguns and sub-guns. • QRP2 rail grabber mount. Snap knob three times for a perfect mount. Will not deform your rail like many other mounts. • Recessed lens openings helps prevent against impact damage, fingerprints and scratches.